Google announced some major changes for its Android mobile operating system in October after the European Commission hit the company with a record $5 billion antitrust fine for pre-installing its own apps and services on third-party Android phones. 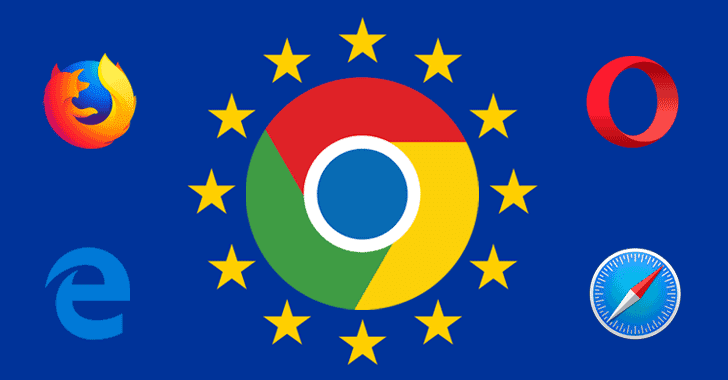 The European Commission accused Google of forcing Android phone manufacturers to “illegally” tie its proprietary apps and services—specifically, Chrome and Google Search as the default browsers—to Android, unfairly blocking competitors from reaching consumers. This rule led Google to change the way it licenses the Google mobile application suite to Android smartphone makers. Now, Google is further making some changes related to browser and search engine choice. In a blog post published Tuesday, Google announced that the company would prompt Android phone owners in Europe (new and existing ones) in the coming months to choose from a variety of web browsers and search engines for their devices as their default apps. “Now we will also do more to ensure that Android phone owners know about the wide choice of browsers and search engines available to download to their phones,” the company says. Although Google did not specify, the prompt will likely appear during the phone setup phase. The move comes a few months after Google revealed its new paid licensing agreements for Google apps on third-party Android smartphones. This change allowed smartphone makers in Europe to install any app they want to serve as alternatives to Google apps without being forced to bundle Google Search and Chrome. Not just for Google’s mobile operating system, but the European Union also fined Google $2.7 billion in June 2017 over abusing the way it prioritizes its own shopping results at the top of its search results at the expense of its rival products.